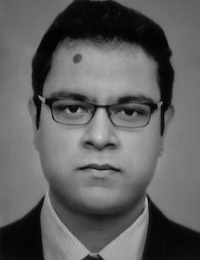 Siddharth Joshi is an SFI funded PhD student with Energy Policy and Modelling Group. His work focusses on building Global Energy Model using Integrated Assessment Modelling. Siddharth holds Bachelor of Engineering in Electronics, Instrumentation and Control from Thapar University, India and Master of Engineering Science in Sustainable Energy from University College Cork. His master’s thesis analysed new market opportunities for Ireland in the renewable energy sector and underscored the economic importance of power to gas technology in conjunction with augmenting offshore wind energy capacity around Ireland. He has previously worked as Detail Design Engineer for GS Engineering and Construction, as Business Technology Associate for ZS Associates and successfully ran a Health Startup focussing on Information Technology assisted healthcare delivery.